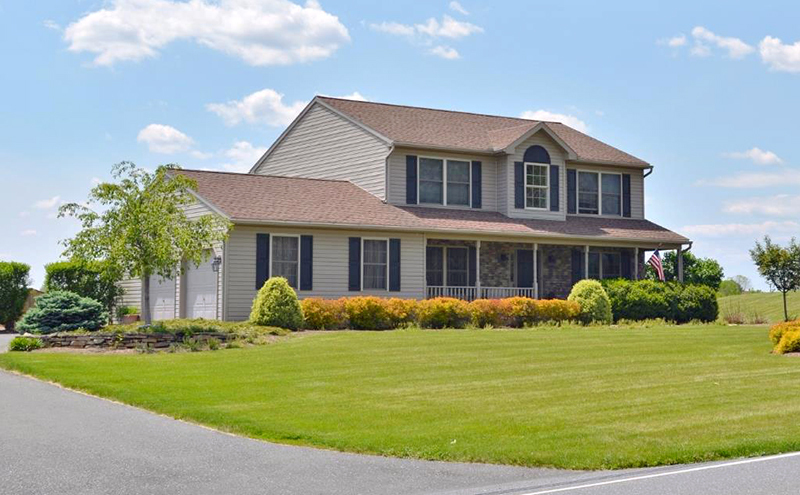 Richmond Town Hall is located at 11 Kehl Drive, Fleetwood PA 19522; phone: 610-944-0348. First settled around 1740, Richmond was incorporated in the early 1750s. The exact date is unknown. Joel Dreibelbis Farm, ca. 1857; listed 1989; at time of listing the farm represented an intact example of a Pennsylvania German Family farm that survived with very little change since the late 19th century. Merkel Mill Complex, ca. 1767/1864; listed 1990; (partly located in Greenwich Twp) significant for its 200 year association to the Berks County Gristmill Industry, representative of a pattern of mills which were part of family farms. Moselem Farms Mill, ca. 1860; listed 1990; erected during a period of growth and revitalization of the mill business in Berks between 1818-1870. Christian Schlegel Farm, ca. 1789/1887; listed 1992; representative of late 18th and 19th century diversified family farms that changed to dairying in the early 20th century. Virginville Historic District, ca. 1830/1940; listed 2000; an intact, linear village typical of Pennsylvania-German influenced rural Bucks County; architectural influences include Queen Anne, Gothic Revival, and Italianate.